Properties in Jim Thorpe Memorial average 4.7 out of 5 stars. Property 12: Bucks Cozy Cabin Adventure! Property 13: GREAT LOCATION ,FREE THURSDAY NIGHT FREE WIFI SERVING OUR CUSTOMERS FOR 28 YRS! Property 14: Secluded Mtn Cabin w/Deck - Walk to Lake Harmony! Property 16: Book Your Summer Escape without a Cleaning Fee! Property 18: Albrightsville Cabin w/Hot Tub - 10 Min to Slopes! Property 19: Cabin w/ Fire Pit & Decks - Walk to Lake Harmony! 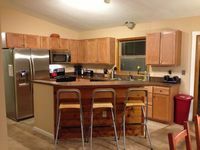 Property 22: Rustic Cabin Lake Home~Ski slopes nearby ~ WIFI~ pets welcome~ GREAT REVIEWS! Property 26: Perfect Place to Get Away! Property 28: Cozy Pocono Getaway Close to Jack Frost and Big Boulder! Property 29: 4 bedroom, 2 bath rustic cabin right in the HEART of Split Rock. Property 30: 8 BEDROOMS!! Firepit! Hot tub! Ping Pong and more!! 50 Private Acres, Pond, WIFI, Secluded, Minutes To Slopes/Casino, Sleeps 30! Property 38: 50 Private Acres, Pond, WIFI, Secluded, Minutes To Slopes/Casino, Sleeps 30! Lake Harmony Home w/ Hot Tub, Deck & Forest Views! Property 39: Lake Harmony Home w/ Hot Tub, Deck & Forest Views! Few miles from the slopes !! Book now ! Property 44: Few miles from the slopes !! Book now !